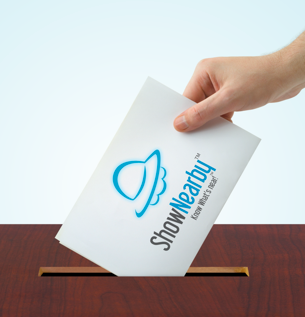 Vote for ShowNearby as your Favorite App! We’d appreciate every single vote of confidence you give us and sincerely thank our users once again for being ShowNearby’s pillar of support! Asia’s Top 50 Apps is Asia’s pioneering award that recognizes innovation in the web and mobile application space. This award aims to increase the awareness for developers involved in building applications that changes the way people go about their daily lives. Click here to vote for ShowNearby now and tell us why it deserves to be the champ! Note: Sign in to Infocomm123s’ Portal and tell us why you love ShowNearby. So many apps, so little space! Infocomm123 presents the top 40 apps of all time and it's up to you to decide which app will emerge as the people’s #1 favorite! Steps: Simply hit the "Vote" button, click on ShowNearby and sign in to Infocomm123's Portal (It's a verification process to win an iPad 2), and type a short sentence about why you love us! That's pretty much it + we will feel your bubbly love! Currently, ShowNearby is the leading favorite app of all-time as the contest continues to heat up with Facebook and WhatsApp lurking and catching up! Pssttt.. Check out our brand new ShowNearby's Community page unleashed specially for our users to connect with us anytime, anywhere! -Your passionate friends from ShowNearby. 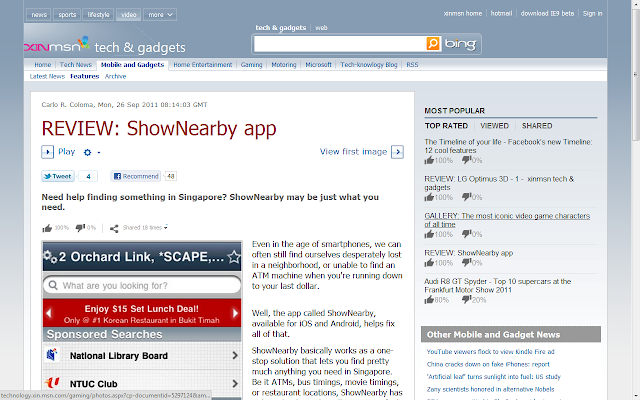 ShowNearby Gets Featured on XinMSN! Lately if you've been hearing speculations about a UFO landing on XinMSN, it's true and was officially sighted on 26th September 2011. ShowNearby was proudly featured on XinMSN front page ticker as well as under the "Mobile and Gadgets" category. A brief introduction about XinMSN, it's a highly localized news and entertainment portal by Microsoft in collaboration with Singapore's media giant, MediaCorp. We would also like to thank Carlo R. Coloma for his great review on XinMSN's portal, sharing with the community a thorough and comprehensive insights to ShowNearby as your daily app guide! 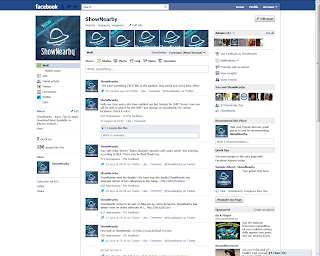 ShowNearby remains committed as a community-driven application and we would love to hear any feedback,comments or tweets via @ShowNearby or our Facebook page! If you haven't already, check out the review and see what makes our app so unique! Your support and feedback has been invaluable in making ShowNearby a successful app and to celebrate the launch of our new version, here's a special treat for you! All ShowNearby's existing customers are entitled to unlimited promotions and must tries at no cost from now till 20th November 2011. Here's a round-up of how you can benefit from ShowNearby's new features! Hurry, take advantage of this special privilege only for ShowNearby's customers available at a limited period from now till 20th November 2011. If you have any concerns or queries, do let us know. 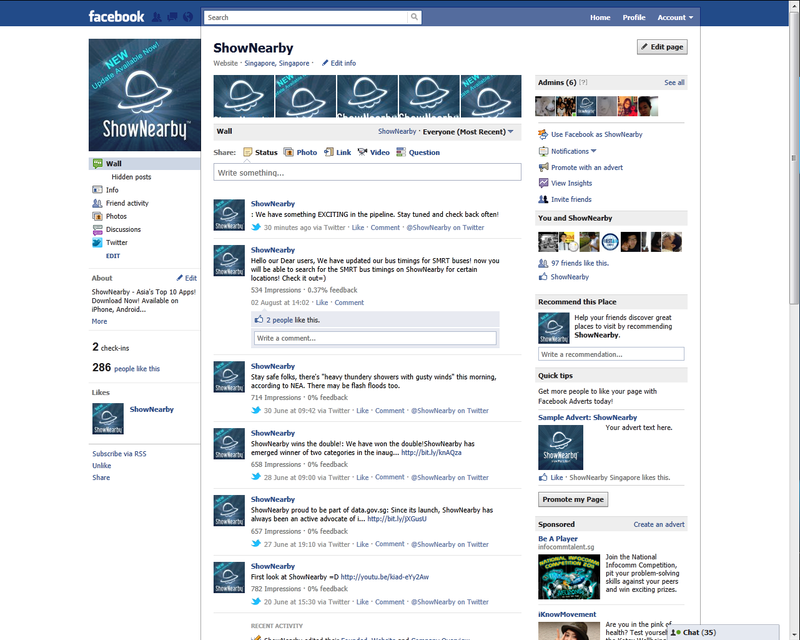 At ShowNearby, we are positively open to any feedback and we promise to serve you better always! p/s: New customers interested to sign up with ShowNearby will also receive special rates during this limited period. Feel free to call us at6442 6083 or drop us an e-mail at custserv@shownearby.com. Cheers from the ShowNearby Family! The time has finally come for Team Feng to showcase their model product and make Singapore proud! ShowNearby extends our full support to Team Feng from River Valley High School currently in Kuala Lumpur, Malaysia, proudly representing Singapore in the F1 in Schools World Finals held from the 19th to the 21st September 2011 at Doubletree Hilton Hotel! There are 23 teams of 200 students from 17 countries competing in this F1in Schools World Finals and you can catch all the action right here with our "blogcast" or Team Feng's offical Facebook Page to share your support and any words of encouragement! Latest Update: Team Feng's currently ranked at 9th place and norminated for Innovative Thinking Award and Best Pit Display! A shot of the competition venue at Malaysia right now. Our Team Feng booth on display to all international and local visitors. Team Feng Members (From Left), Lam Teng Foong, Yao Zhong Lim, Li Zhikai, Ng Pei Yin, Angel Chia Jing Wen, Jean Yong. Some of Team Feng’s Partners and Sponsors at their booth. Can you spot ShowNearby? Apart from the lovely members from their group, we love some shameless marketing, do you see kind of iPhone on the display board? Team Feng’s at Sepang International Circuit, where it hosts the F1 In Schools World Finals Gift Exchange event. ShowNearby on Android: 2X Speed + Battery Drain Issues Resolved! Experience ShowNearby's Speed Increase and Reduced Battery Consumption! 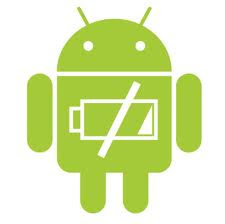 We've been hearing some concerns and frustrations from our users on ShowNearby Android's nerve-racking battery drain problem. Thus ever since, somewhere not too far away in the land of ShowNearby, our awesome Android master has been stealthily piecing the puzzle together and once again cracked the code! And that's not all... while chanting "We'll never succumb to battery hogs!! *, the team has also performed some extra tweaks for improvements. You'll be experiencing a way faster and friendlier ShowNearby than ever before with battery life optimization! And the app is live right now at Android Market, go get em! Love it? Like our Facebook page and win an iPad 2! Remember to share your comments at our ShowNearby app page in Android Market! From the futuristic UFO Spaceship! Win an iPad 2 with the NEW ShowNearby! We would like to thank you for all your strong responses as we edge closer to our 750 likes, Keep up the good work and continue to share with your friends via Facebook and lets achieve the aim together! We will continue to give our very best at our end! Lets sweeten the deal further, if we manage to get 600 likes by this month, we would give away a few ShowNearby WOW (never given away before) packs! Yes! You can walk away with a brand new iPad 2. But here's is the catch .. We're only able to release the details for the iPad 2 Giveaway once we hit 750 likes on our Facebook page, so give us the thumbs up and it will unveil! To make it easier for you, we included the like button for you below! Let's make this happen together, we won't be here without you! Your dear folks from ShowNearby! With the recent announcment of the new ShowNearby for Android, we are thrilled to tell you that we have current development plans to continue our support for the legacy Operating System of Android 1.5 and below. Your feedback on this issue have been heard. With regards to all Android 1.5 and below users (Eg: Motorola Backflip users), we are cooking something in the lab and it will be released really soon. Update: ShowNearby had just released ShowNearby 1.5 and its available right now for all consumers that owns an Android phone which comes with OS 1.5 and below. - Click here to begin your download or search "ShowNearby 1.5" in your Android Market. However, we would like to take this opportunity to apologise for the recent disruption you experienced after upgrading the ShowNearby application via Android Market. Keep your feedback coming in! Your cool friends from ShowNearby. PS: Our ShowNearby team would like to thank all educators for putting in their best in equipping our future generation. Happy Teachers Day! Enjoy this video by Ministry of Education (Singapore), We love you!